Pet ownership is a path we cherish. Paths caused by litter on the other hand, are a different story. 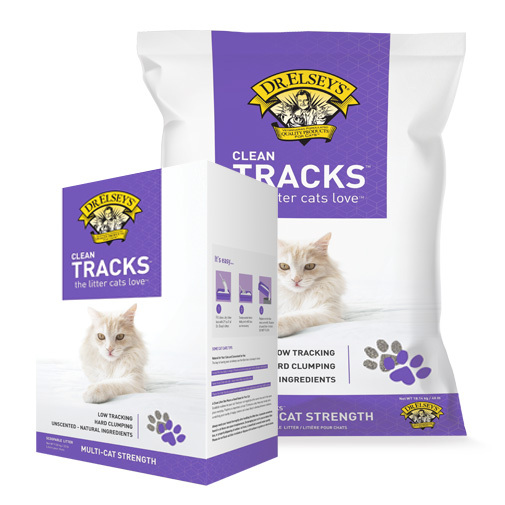 Introducing Dr. Elsey’s Clean Tracks™ – a low tracking, hard clumping and odor eliminating litter. Clean Tracks™ has a unique formulation of medium grain clay that helps keep litter in the box while controlling odor without added perfume, deodorants or chemicals.